Where Simply The Best is Not Good Enough. Our log cabins are the highest quality and most stylish cabins available anywhere in Ireland or Northern Ireland, and our unique reputation is based on quality and design with customer satisfaction our goal. High quality double glazed tilt-turn windows are standard on most cabins, and we only use the best grades of timber fashioned by craftsmen into quality cabins for you to enjoy. 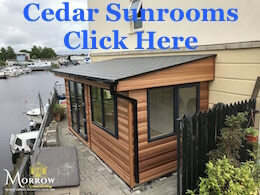 Established in 1984 we are a local family run firm with many years’ experience in the timber building industry in Ireland and we will be more than pleased to help you choose the right cabin for your needs. High quality double glazed tilt-turn windows are standard on most cabins, and we use the best grades of timber fashioned by craftsmen into quality cabins for you to enjoy. We hope you will find our website has all the information you need for a ‘one stop shop’ with details of our extensive range of Log Cabins. We deliver throughout Ireland – from Coleraine to Cork, Mayo to Malahide, Londonderry to Limerick – wherever you are located just email or telephone us for great rates and quality assured. We are as flexible as our customers are individual.